Although there are a lucky few who can afford to replace a car every 3 to 5 years, most buyers will likely run their car pretty much to the ground. As the second biggest purchase in one’s lifetime, it’s important to keep it running in tip-top shape especially as they rack up the kilometers. Today, Pilipinas Shell is introducing a new engine oil specially formulated for older, high-mileage vehicles. Meet the new Shell Helix High Mileage. As vehicles go out of their warranty period (typically ending in 3 to 5 years), owners tend to skimp on Preventive Maintenance Service (PMS) relying, for instance, on mineral oil. Though routine oil changes using mineral oil gives a basic level of protection, Pilipinas Shell says it still doesn’t address the unique requirements of engines running 100,000 kilometers and up. Shell Helix High Mileage is a clear step-up in engine protection, specially formulated for engines of high mileage vehicles. 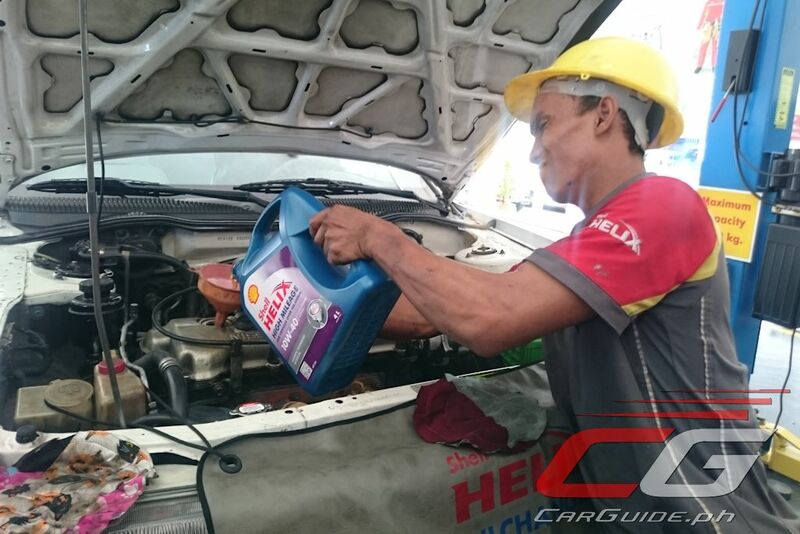 Using synthetic technology (Shell Helix High Mileage is actually a semi-synthetic oil blend), it provides up to 40 percent wear protection, prevents sludge and deposits, and prevents leaks and reduces oil burn off for less top-up. When driving, especially in everyday stop-and-go traffic, critical engine parts experience high pressures that increase the risk of engine wear and oil oxidation. Shell Helix High Mileage engine oil has Flexi-molecule technology that constantly adapts to boost protection when your engine needs it most, especially during situations when your engine experiences intense heat and pressure. 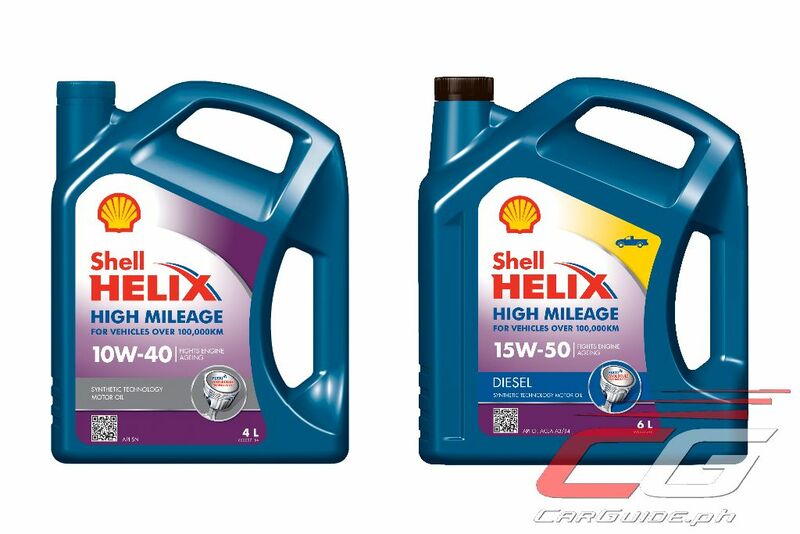 In order to cater to a wide variety of vehicles, Shell Helix High Mileage is available in two formulations. 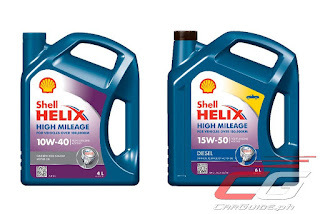 The Shell Helix High Mileage 10W-40 is designed for gasoline engines, while the thicker Shell Helix High Mileage 15W-50 is for light-duty diesel engines. And though Shell Helix High Mileage benefits high-mileage engines the most, they can still be safely used on vehicles regardless of mileage. They can also offer leak prevention and of course, excellent engine wear protection. For over 100 years, Shell has been a reliable partner of Filipino motorists on the road. With the development of smarter products and concept lubricants like Shell Helix High Mileage, Shell honors that commitment to be a part of every customer’s journey whatever sort of vehicle he or she may drive. Shell Helix High Mileage is now available at all Shell service stations, car service centers, and leading auto supply shops nationwide.